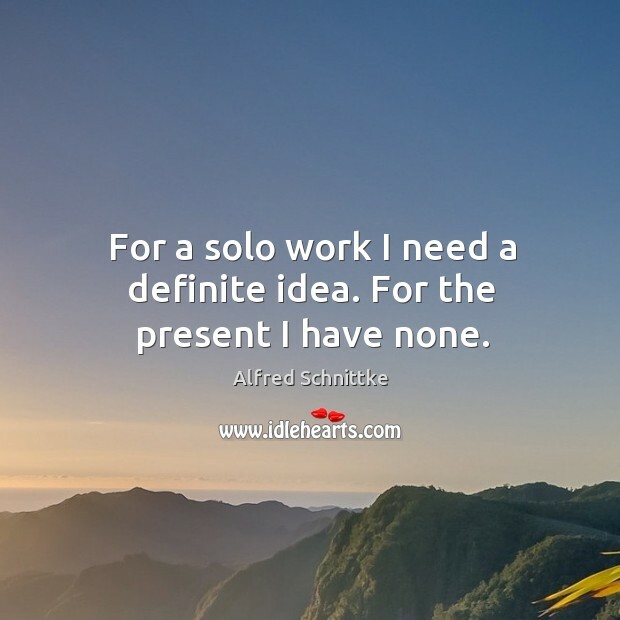 Enjoy the best inspirational, motivational, positive, funny and famous quotes by Alfred Schnittke. Use words and picture quotations to push forward and inspire you keep going in life! 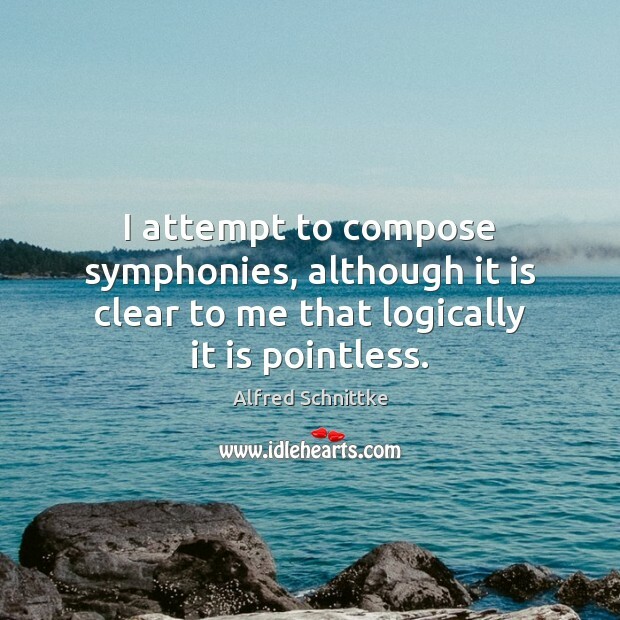 I attempt to compose symphonies, although it is clear to me that logically it is pointless. 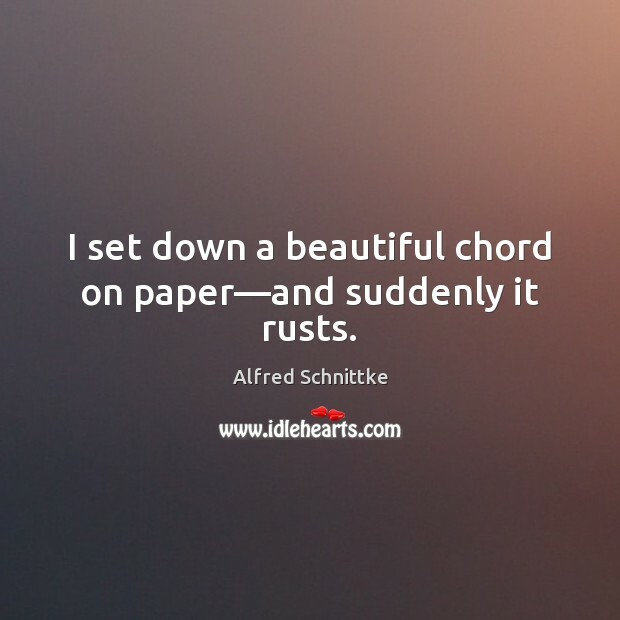 I set down a beautiful chord on paper—and suddenly it rusts. 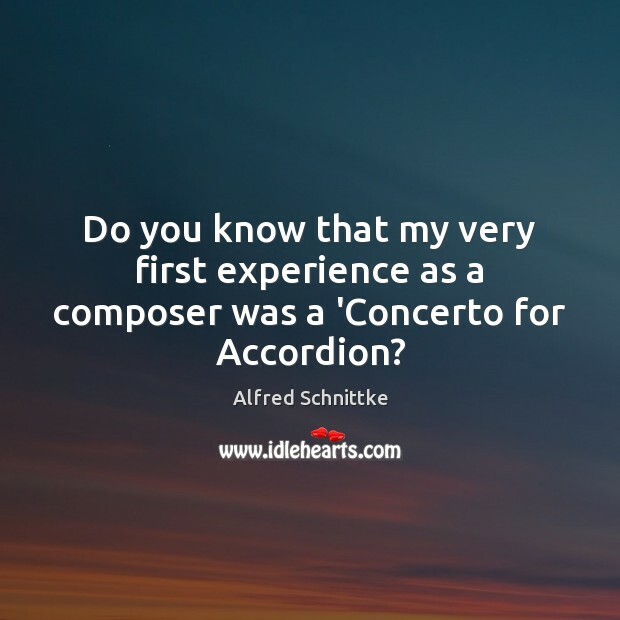 Do you know that my very first experience as a composer was a 'Concerto for Accordion? I am not (yet) facing the problem of emigration. 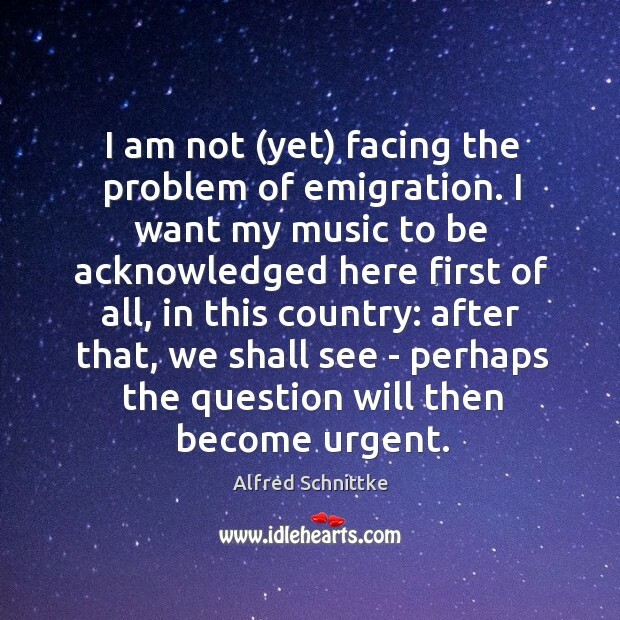 I want my music to be acknowledged here first of all, in this country: after that, we shall see - perhaps the question will then become urgent. For a solo work I need a definite idea. For the present I have none.